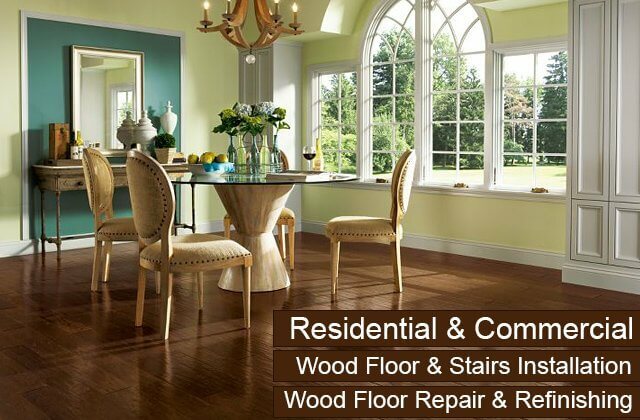 Carter Wood Floors is one of the most experienced and highly skilled wood floor contractors in Southern California. 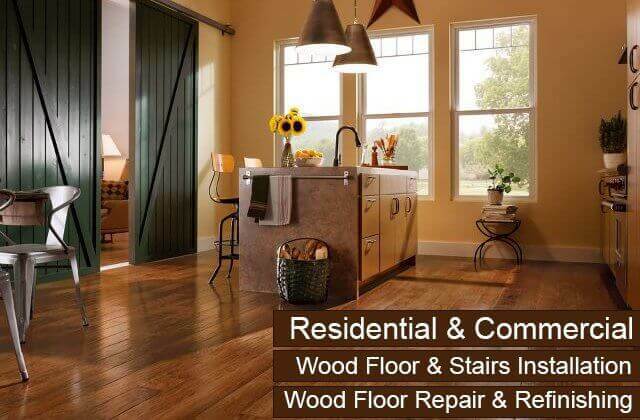 We've been restoring and installing hardwood floors since 1981, have one of the oldest flooring contractor licenses in the state, and have a team of flooring professionals that works exclusively with wood flooring. Our owner and lead salesperson each have more than 40 years' experience and the rest of our team averages 12 years of experience. So, you can trust that we have accrued the knowledge and skill set to successfully handle wood flooring jobs of any type and size in Rancho Santa Margarita and achieve incredible results. All of these services feature high-quality materials, impeccable workmanship, personalized service, and cost-effective rates. For those needing to revive their existing floor, we use the best sanding, staining, and finishing techniques for superior refinishing, restoration, and repairs. For those looking to renovate their Rancho Santa Margarita home or business with hardwood flooring (which can also extend to coordinated stairs, baseboards, and molding), we sell a diverse selection of long-lasting, luxurious hardwood floors made by trusted manufacturers, Garrison, Armstrong, Mullican, and Bruce. This selection includes solid and engineered wood, domestic and exotic woods, and a wide range of floor panels (such as parquet, standard plank, strips, and wide plank). You can also personalize your wood floor with stains, water-based or oil-based finishes, and medallions, because, unlike most flooring companies in Rancho Santa Margarita, we primarily install unfinished hardwood floors. This means that we can realize just about any color, style, or type of hardwood floor you can envision. Join the thousands of Southern California residents who have already discovered the exceptional value that Carter Wood Floors offers. 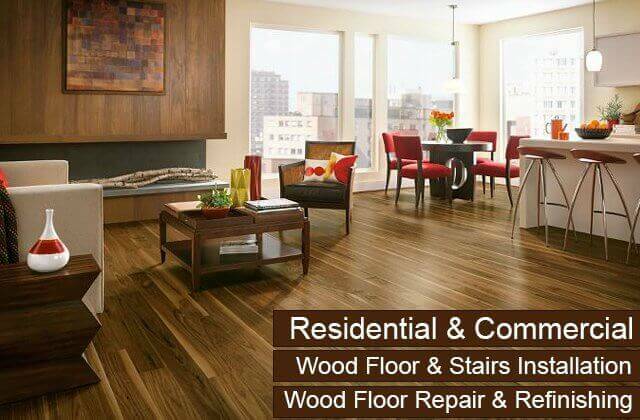 Although our wood flooring services are competitively priced, you'll still get a fully customized wood floor of remarkable beauty and durability that is backed by reliable manufacturer and contractor warranties. We welcome residential and commercial jobs of all sizes throughout the Rancho Santa Margarita area. Call today to schedule your free onsite consultation and price estimate. If you have hardwood floors or stairs in your Rancho Santa Margarita home or business, you know that with time the finish can wear off and the wood can become susceptible to grime, scratches, and dents. Hardwood floor refinishing makes it possible to sand and buff out superficial damage and renew lackluster floors through the application of stains and finishes. At Carter Wood Floors, we specialize in on-site custom refinishing and can be trusted to restore your wood floor using the best methods for repairs, sanding, buffing, staining, and finishing. With our efficient refinishing process and strong work ethic, we are able to complete most refinishing jobs in two to four days (depending upon the number of coats that are required). 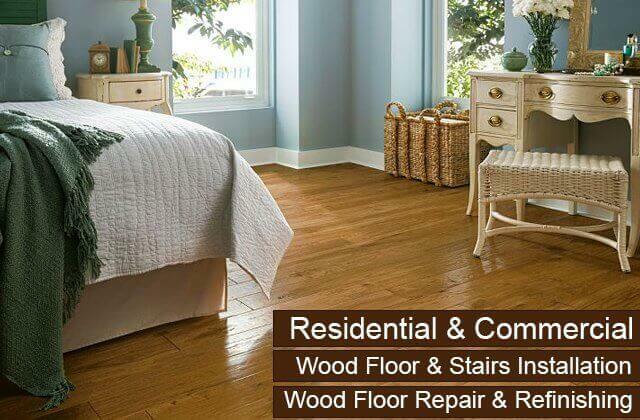 Call today to have a consultation with one of Carter Wood Floor's experts. During this consultation, we'll assess your floors, discuss any repairs that we feel are necessary, review your stain and finishing options, and provide a detailed price estimate. Moreover, our experts will let you know if refinishing is really the best course of action. In some cases a new coat of finish is all you need; in other cases, a completely new floor may be required, particularly if most of your wood is warped, split, or sagging. Our team is renowned for their honest and expertise--call today. On-site consultations visits in Rancho Santa Margarita are always free. 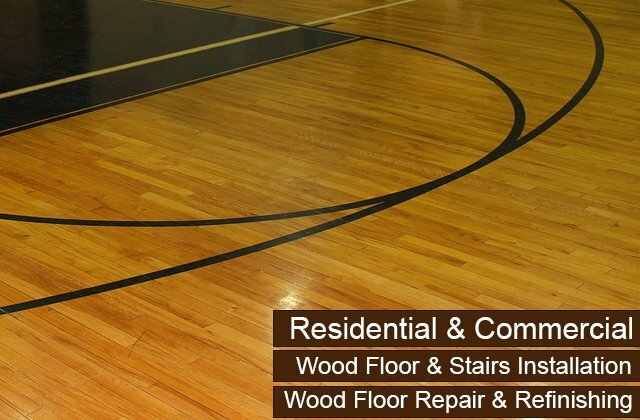 The hardwood floor repair services we provide to our Rancho Santa Margarita clients range from filling gaps, dents, and cracks to replacing boards that have become cracked, warped, or irreversibly damaged. When it comes to major damage, the worst culprits are water, termites, poor installation, urine, floor heaters, movers, and fires. At Carter Wood Floors, we have the expertise to identify when the damage caused to wood floor panels requires fills or board replacement. Because damage is often discovered during the refinishing process, hardwood repairs are often part of our wood floor restoration services. If the damage is merely cosmetic, our Rancho Santa Margarita customers can elect to keep the damaged boards and just continue with refinishing. However, in some cases, repairs are necessary in order to proceed with refinishing. With every repair, you can trust that the repaired or replaced wood will blend in seamlessly with the rest of the floor and offer the same level of durability as the rest of your floor. 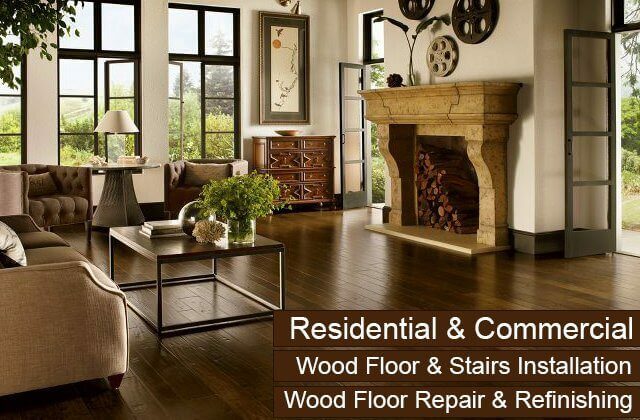 Call today if you need hardwood floor repairs in Rancho Santa Margarita. Most repairs can be done in one day. Carter Wood Floors is an authorized dealer for Bruce, Armstrong, Mullican, and Garrison hardwood floors, which means that we are factory certified to sell and install all of their hardwood floors. These trusted and industry-leading manufacturers offer both factory-finished and unfinished wood; domestic and exotic wood; and solid and engineered construction. If you choose factory-finished wood floors, you'll have a wide selection of colors, styles, and panel sizes to choose from. If you choose unfinished wood, then the possibilities are nearly endless. That's because unfinished wood can be cut to any size and then stained and finished to achieve any color, gloss, or finish. 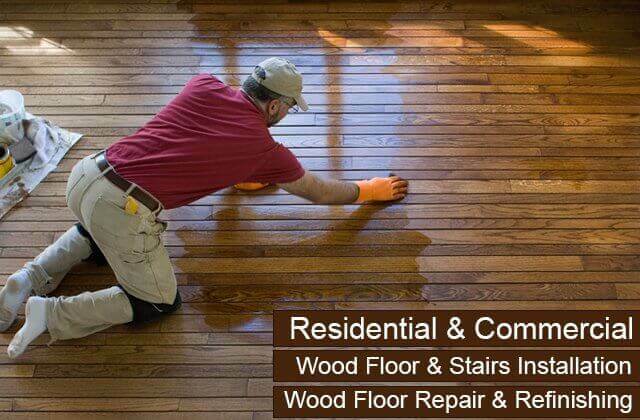 Moreover, we have decades of experience applying stains and finishes on site to all types of wood. To help you settle upon a hardwood floor design among the countless options, we offer free onsite consultations. During our consultation, you'll work with one of our highly experienced floor experts who will help you review samples and discuss which type and look of hardwood will be best suited to your Rancho Santa Margarita home or business. To get started, call the hardwood flooring sales experts at Carter Wood Floors today. You'll receive professional design assistance and an upfront estimate. 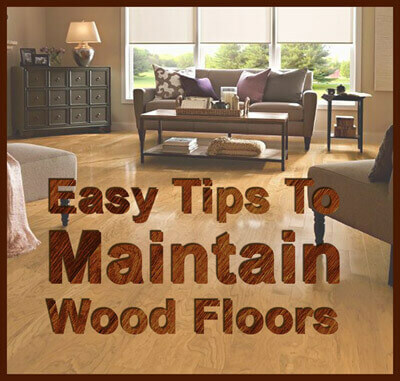 Proper installation of hardwood floors requires expertise, skill, and experience. At Carter Wood Floors we bring all three of these qualities to every Rancho Santa Margarita job that involves hardwood floor installation. Over the last 33 years, we've installed thousands of beautiful and durable hardwood floors using the industry's best techniques. We first take accurate measurements and carefully prep for each installation during our initial onsite visit. Once the job is approved, we order the wood and schedule the installation date. On installation day, we custom fit every wood plank, allow room for expansion, and then apply the requisite number of coats of stains and finishes to achieve your preferred look and expected level of durability. Call today for a free quote or to learn more about our custom hardwood installation services for residential and commercial floors in Rancho Santa Margarita. With over 30 years of experience, Carter Wood Floors has helped Rancho Santa Margarita residents to successfully convert their carpeted stairs to elegant, long-lasting hardwood stairs. Usually done to match surrounding hardwood floors, our hardwood installation services for stairs are fully personalized and affordable. To coordinate your new hardwood stairs, we offer all types of domestic and exotic woods (oak, maple, cedar, etc. ), all of which can be stained and finished until the right color, sheen, and look is reached. Our ability to match hardwood is also helpful for those with broken stair treads or riser; we can repair a single board and have it match the rest of your stairs seamlessly. Additionally, for our Rancho Santa Margarita commercial and residential customers who already have hardwood stairs that are starting to look worn and faded, we provide cost-effective recoating and refinishing services. 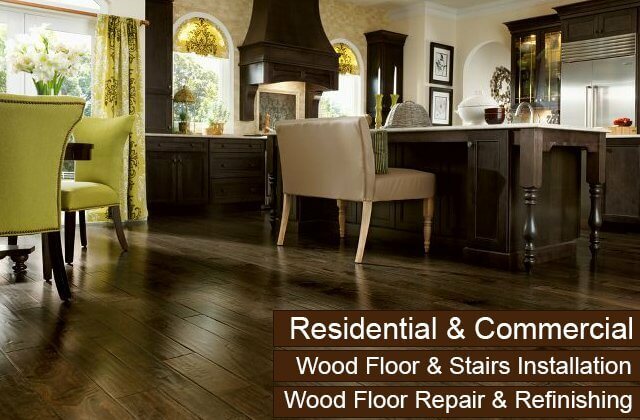 Call today and upgrade your stairs in Rancho Santa Margarita with Carter Wood Floors' expert hardwood sales, installation, repair, and refinishing services. Onsite consultations are free.